Every Saturday we will host a different brewery to pop-up in our Smokhaus! Come on by for some Beer and BBQ. Click on the pictures for Dates breweries will be popping up! We’ll have a rotating Brewery on the first Saturday of each month! Join us at Herman's Coffee at 3rd and Wharton streets for our second BBQ and Beer Dinner! We're collaborating with Weyerbacher Brewing to bring you a night of smoked meats and tasty craft beers! Herman's Coffee - Summer BBQ & Brews Round 2! Herman's Coffee - Sunday Brunch Returns! Join us at Herman's Coffee at 3rd and Wharton streets for Sunday Brunch! 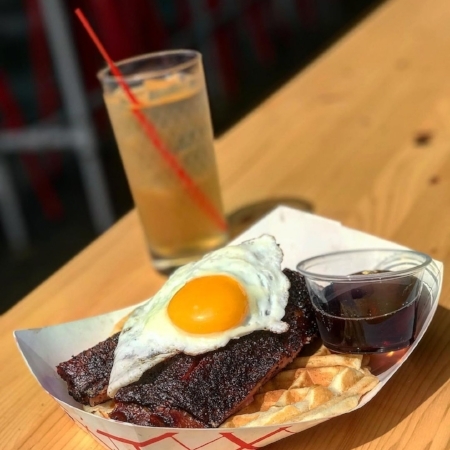 We'll be serving up our signature BBQ on top of waffles! 10:00 am - 2:00 pm or sellout! Whichever comes first! 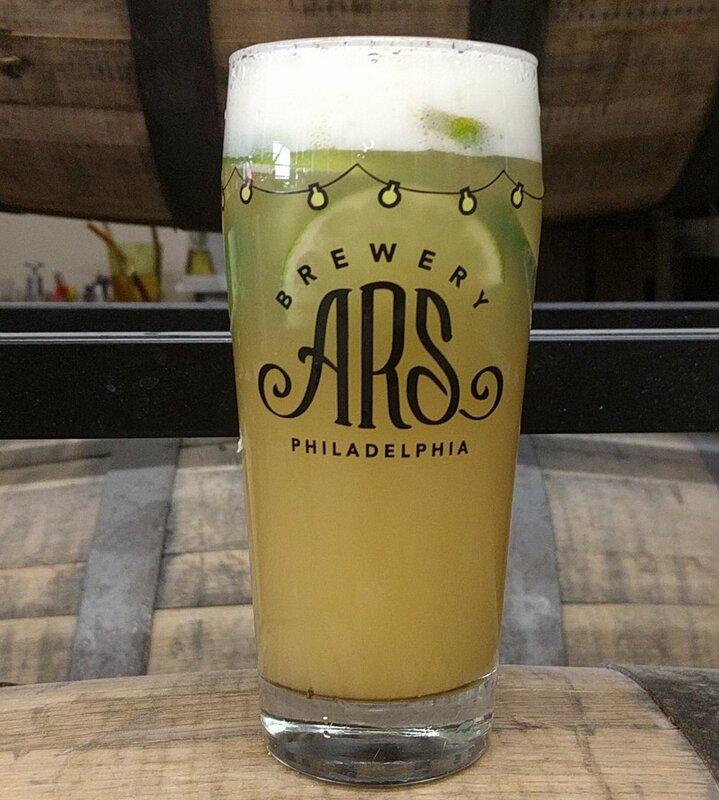 Join us at Brewery ARS on Saturday, June 10 between 1:30 and 2:30. Herman's Coffee - Sunday Brunch! Join us at Herman's Coffee at 3rd and Wharton streets for Sunday Brunch! We'll be serving up our signature BBQ as some fun brunch variations! 11:00 am - 3:00 pm or sellout! Whichever comes first! We're taking our BBQ to the Ardmore Music Hall to help celebrate Flightschool's 10 year anniversary! There will be beer specials, BBQ and Rock n Roll. Come out for a fun night! We had such a blast on April 28th we’re coming back to bring our BBQ onto the 8th floor rooftop terrace of the Bok Building (800 Mifflin Street, Philadelphia, Pa). Come for the BBQ, stay for the views. Price includes full plate of BBQ, sides and 2 beverages. Food will be available from 7:00 pm - 10:00 pm. Simply take your food ticket to the service window and exchange for your BBQ Feast! The Drinks: Beer, Cider, Wine or Soda. Join us at Herman's Coffee at 3rd and Wharton streets for BBQ and Beer Dinner! We're collaborating with 2SP Brewing to bring you a night of smoked meats and tasty craft beers! 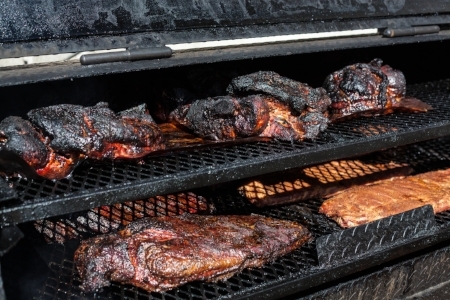 To ensure availability Pre-order your favorite smoked meat platter here. Limited walk-in platters will be available the day of. We're excited to be coming back to Garage Bar South on East Passyunk Ave! Come Join us 3:00 pm - 10:00 pm or sellout! Whichever comes first! 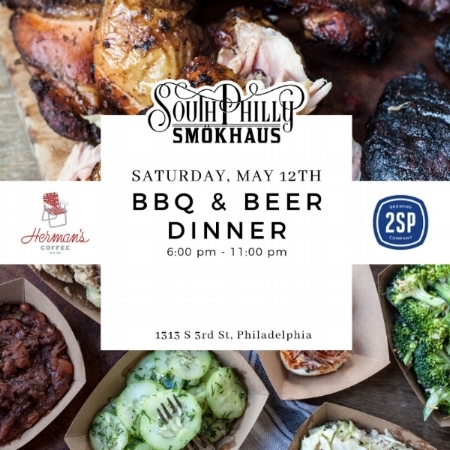 Join us for a South Philly Smokhaus pop-up on the 8th Floor roof terrace at Bok! alcoholic beverages available). A cash bar will be available for additional beverages. We're excited to be coming back to Garage Bar South on East Passyunk Ave! Come Join us 5:00 pm - 11:00 pm or sellout! Whichever comes first! 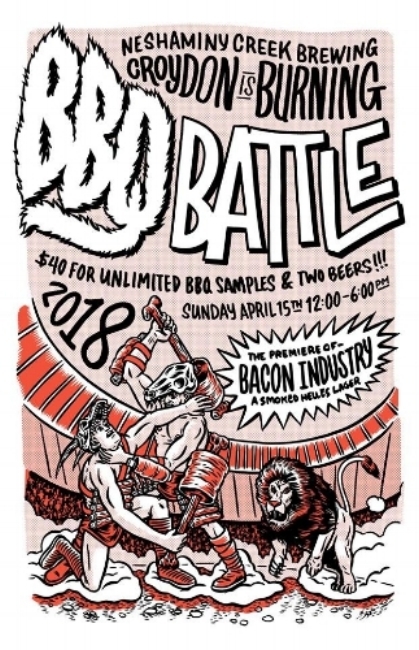 We're joining some other awesome Philly area BBQ jawns and duking it out at Neshimany Creek Brewing Company in Croydon, Pa. $40 for all you can eat samples of 'cue and 2 draft Neshaminy Creek Beers. Join us at Garage Bar South on East Passyunk Ave. for some BBQ and Beers! 6:00 pm - 10:00 pm or sellout! Whichever comes first! Join us at Garage Bar South on East Passyunk Ave. for some BBQ and Beers! 6:00 pm - 11:00 pm or sellout! Whichever comes first!